So, I finally had a chance to unstick my fingers from my laptop and go and see ‘Man of Steel’ yesterday – a movie I have been waiting for months to see, ever since that amazing third trailer with the Hans Zimmer score. I am not generally a huge superhero movie fan, mind you – but this is one I was dying to watch, simply because – at least in the trailer, it promised something more than the average movie experience. I have always thought it was time for Hollywood to reinvent some trends, especially in Superhero style movies (superheroes never grow old) and being a huge fan of backstory, ‘Steel’ promised something totally different – a Clark Kent unlike any Clarks in the past, his tumultuous, vulnerable childhood, that ever-important search to discover his true identity and why he is ‘different’ from everyone else. All themes that give a protagonist humanity and makes his journey to viewers relatable. Also, David Goyer and Chris Nolan were the scribes of the flick, the same who brought the ‘Batman’ franchise to a whole new level. As I was watching it, I was aching – simply aching to post some quick thoughts. What the trailer promised and what the movie promised was something totally different. A FEW SPOILERS AHEAD. I will say this again: the-movie-had-promise. Which is why it was so frustrating watching it. First the non-linear storyline really drove me nuts – before we can grasp even one character’s emotional journey, it was onto the next. As a viewer, you need enough substance to invest yourself in characters – suffer with them, laugh with them, cheer with them, weep with them. The screenplay’s choppiness, moving from one time period to another (which works in some films, but not in this one) and its inability to stay focused made that more difficult than it needed to be. Some of the weaker scenes included the stuff in Krypton – got a bit too spacey after a while, especially in the second and third act with Lois’ involvement. The characters, in my opinion, were mostly well cast, but in short, their material was just not given enough time to develop fully. The whole movie was a Zach Snyder puzzle – a puzzle with pieces meant to make one picture but somehow being placed to make a completely different one. Sounds brutal to all the die-hard fans out there? Yep. This is not to say that the movie was altogether bad. It does have a fairly solid cast, tackles the right themes, certainly gave me personally, glimpses of the greatness it could have been. Henry Cavill certainly plays his role well as the tortured hero who wants to know why he is different from everyone else. My problem with it (and by the way, I only started watching the original Superman last night) is the revelations were not timed well – every scene came off as non-linear, leaving an odd sense of lacking continuity. Also, I found the script cumbersome in some places – Russell Crowe (Jor El) and Amy Adam’s (Lois Lane) speeches were a bit long and expository in my opinion. Not to mention more sillier, less-significant inconsistencies: the fact that Russell had an accent and the others in Krypton didn’t (something which my sister bothered to notice). And speaking of Adams (Lois Lane), there were certainly glimpses of a developing relationship between her and Clark, but she spent a lot of time spouting a lot of information rather than giving us a chance to visualize it/experience it emotionally – the result of which left her character cold, flat, lifeless. As for antagonist-nemesis General Zod (Michael Shannon), he wasn’t bad – a character who thinks he is protecting his people and will do everything to preserve his view of the world, even if it means destroying everything including himself in the process. So there I said it – my reaction to ‘Man of Steel’ was mixed (I feel like if they literally re-edited the whole thing and made it flow better, so it’s less choppy, I would be happier and rotten tomatoes would move up their rating to 80% – but that’s just me). The good: Henry Cavill was a pleasure to watch (though his character traits were more endearing as a young boy. The God complex takes over a bit too much at times as an adult, leaving him less vulnerable). 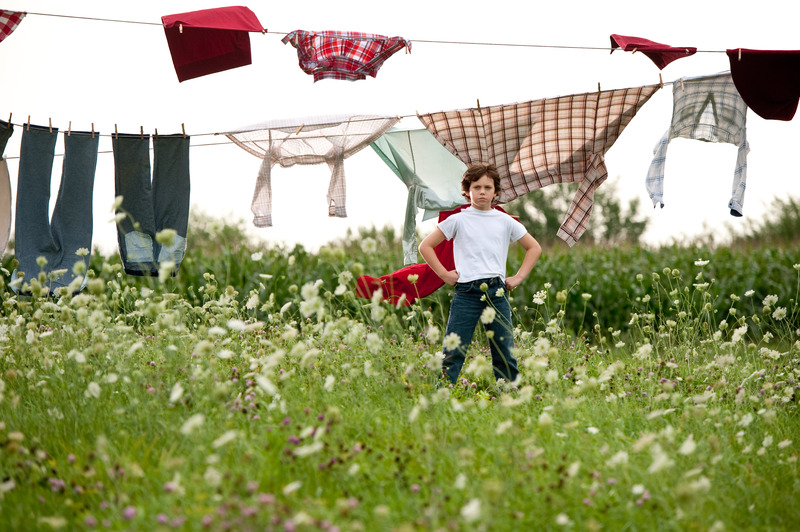 Some of my favorite scenes also involved his dad Jonathan Kent (Kevin Costner), Clark’s mentor figure, whose scenes were purposefully driven to enhance young Clark’s humanity, as well as some nice touches here and there (with the bully kid in Clark’s childhood being the kid that Clark saves, Jonathan’s lessons to his son – ironically less wordy and more heartwarming than Jor El’s, Clark embracing his powers, some cool visuals and action sequences). Did the movie have heart? Yes, though it still left a lot more to be desired thanks to all the choppy editing, something they will hopefully rectify in the newly announced sequel in the works. The ending, which, I won’t give away, hearkened back to the whole humanity-vulnerability thing I mentioned about Clark, and at least managed to drive that point home – the hero inside everyone. 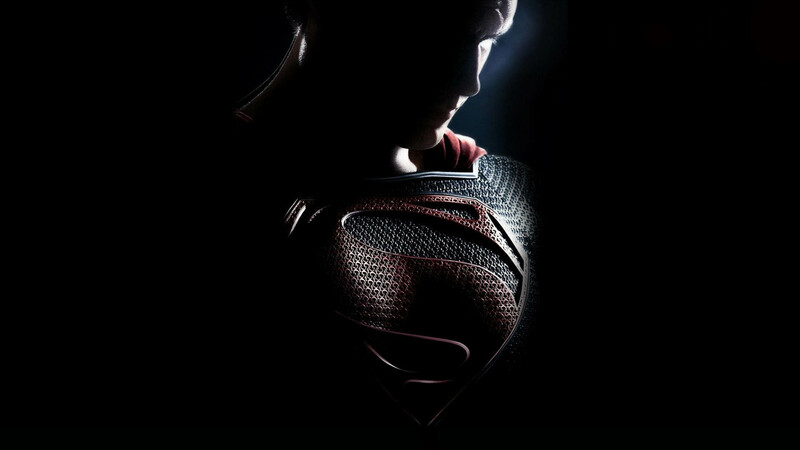 Anyhow, what did you guys think of ‘Man of Steel’? Interested to hear your thoughts. This entry was posted in movie reviews, movies, Screenwriting. Bookmark the permalink.